Rochester is an important industrial and research center and Great Lakes shipping port. Commercial and industrial activity has a strong science and technology presence, led by the Eastman Kodak Company but also including Xerox, Bausch & Lomb and even GM’s hydrogen power research labs. 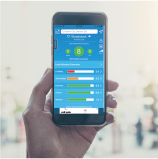 The scientific and industrial legacy has strengthened a set of excellent arts, cultural and educational assets including the Rochester Institute of Technology and the University of Rochester. Scientists, aspiring scientists and science buffs feel quite at home in the area. The news isn’t all good, for technology transformations affecting Kodak and Xerox have created a lot of employment dislocations. Whether or not Kodak’s “retooling” as a digital media company is successful and leads to job growth is uncertain. A combination of soil, moisture, and lake warmth create a long growing season for the latitude and a favorable environment for fruits, vegetables, and wineries. The Lake Ontario shore offers a number of parks and waterfront amenities. Together these assets provide plenty of day trip opportunities. Climate is the main downside, with abundant clouds and rain and heavy lake-effect snows. The area is one of the rainiest in the country. Cost of living and home values are quite attractive on a national and a New York scale. The area is located on a broad plain defined by Lake Ontario and the Genesee River Valley. Twenty miles south, low rolling hills begin to rise to 1,000 feet. Vegetation is a mix of open farmland and deciduous woods. The climate is humid continental strongly modified by the Great Lakes. Precipitation is evenly distributed throughout the year in quantity, but frequency is much higher during winter. Snowfall is heavy, but highly variable over short distances. More snow falls to the east. Winters in general are cloudy, cold, and changeable with frequent thaws and rain. Snow covers the ground from Christmas into early March. Below-zero temperatures are infrequent but do occur further inland. Summers are warm and sunny with intermittent rain or thundershowers. Temperatures seldom exceed 90 degrees. Spring comes slowly and fall is brief. First freeze is mid-October, last is early May. 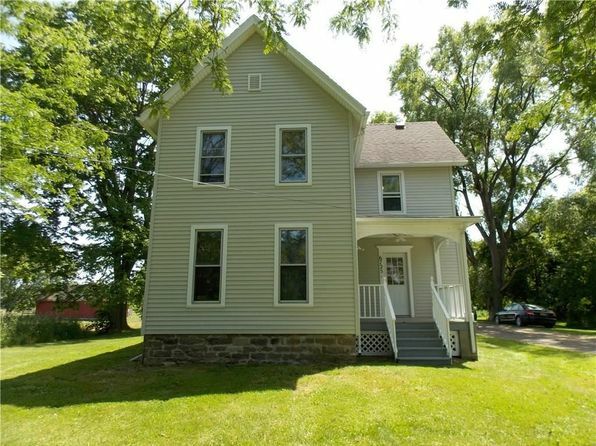 The median home price in Riga is $176,000. Browse Homes in this Range. 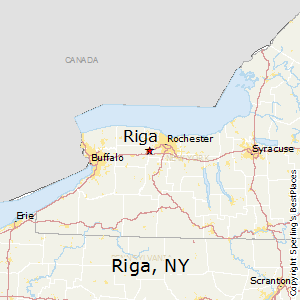 Compare Riga, New York to any other place in the USA.